Looking for awesome and trendy geek accessories? Long Live Play has you covered! And you can win a set of these babies in the UnGeek Holiday Geek Gift Giveaway 2017! Looking to show off your inner Rebel Alliance or Galactic Empire allegiance? Or maybe you’re in the market for cute and awesome Pokemon merchandise? 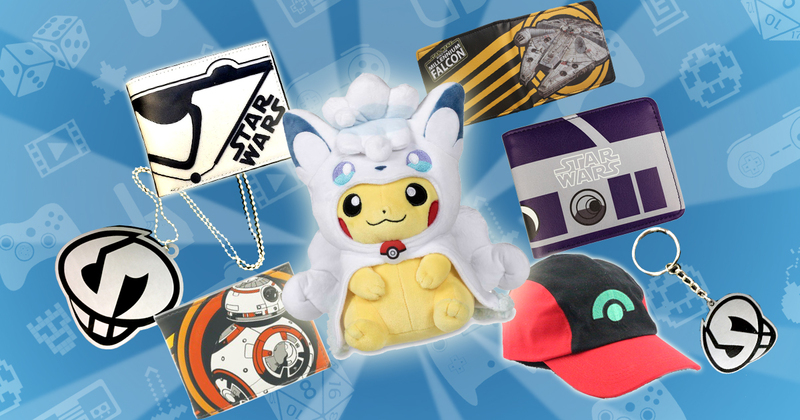 Well, look no further, because Long Live Play has your geek needs covered with these Star Wars and Pokemon accessories! 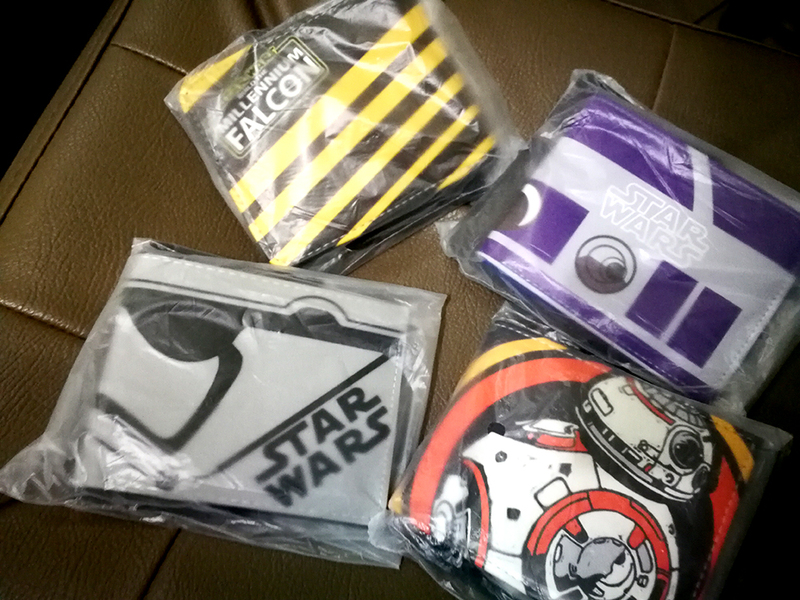 For some of the best style this side of the galaxy, check out Long Live Play‘s lineup of Star Wars-themed wallets! Featuring simple yet pop-culture-chic designs, these wallets will definitely help you keep your money and cards in style! You can choose between everyone’s favorite astromech droids R2-D2 and BB-8, a tough-as-nails Imperial Stormtrooper, or the one-and-only smuggler’s frigate Millennium Falcon. So many choices, so difficult to decide! And if you want some Alolan-inspired street gear instead, check out these awesome Pokemon accessories! 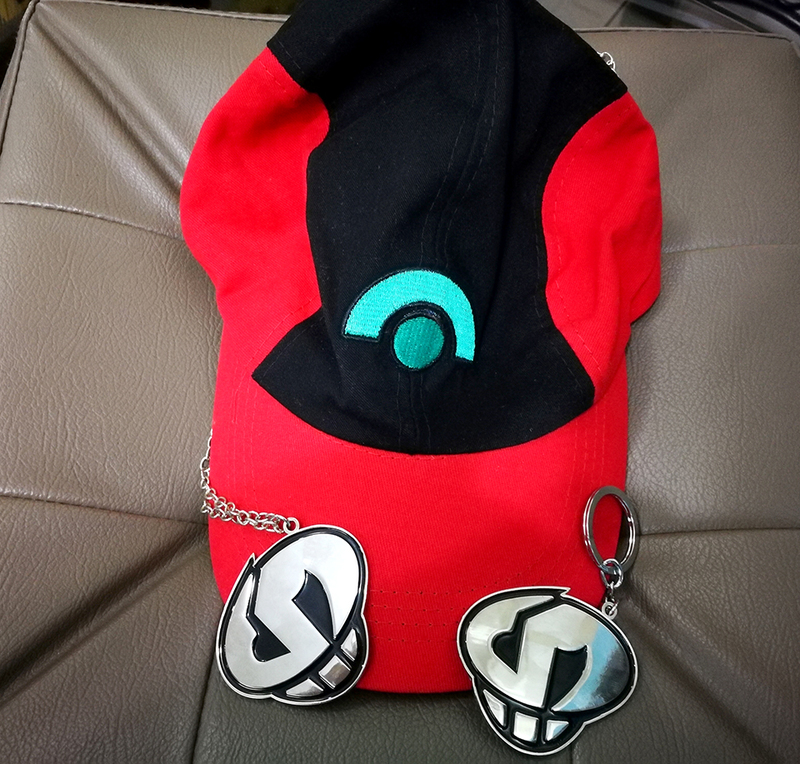 With a classic black-and-red trainer cap and shiny Team Skull bling things, you can now show your loyalty to the best squad in Alola! Guzma approves! Speaking of Alola, let’s not forget their unbelievably adorable Pikachu plushies! 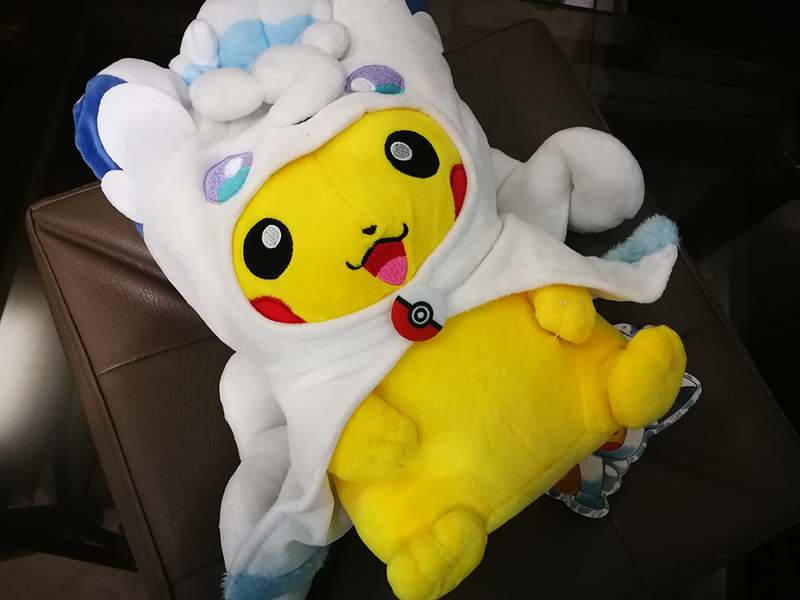 Pikachu alone is almost irresistible, but a Pikachu decked out in an Alolan Vulpix robe? My insatiable appetite for plushies is triggered! Plus, the stitchwork and plush fabric are huge plus points and definitely do the iconic Pokemon justice! Best of all, you (yes you!) can win a set of these babies in our UnGeek Holiday Geek Gift Giveaway! 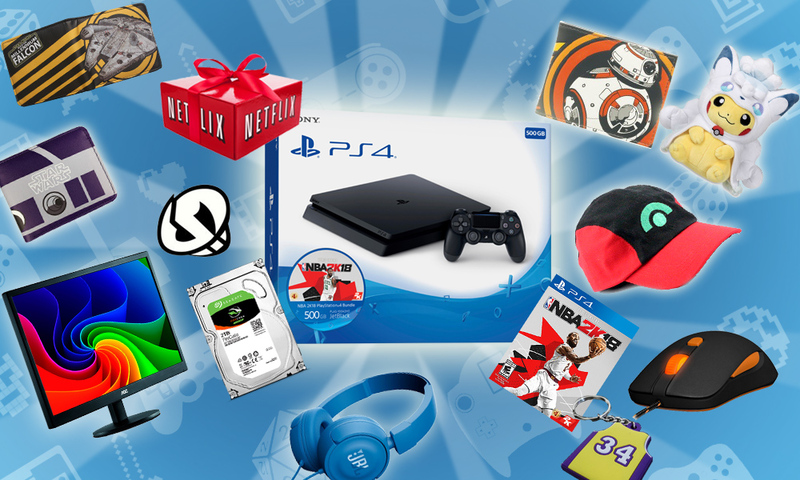 We’re giving everyone a chance to win these accessories from Long Live Play along with other awesome prizes like a Seagate 2TB Firecuda, Netflix Swag, and even a Sony PlayStation 4 NBA 2K18 Bundle! But hurry, don’t delay, because the promo only lasts until January 5, 2018 (11:59pm PH time)! So what are you waiting for? SHARE the holiday cheer and make it extra geeky with our Geek Gift Giveaway! Join the Main Raffle for the UnGeek Holiday Geek Gift Giveaway HERE! Join the GRAND PRIZE Raffle for the UnGeek Holiday Geek Gift Giveaway HERE! Previous article‘Tis the season to Netflix and chill! Win cool Netflix swag with the UnGeek Holiday Geek Gift Giveaway 2018! Next articleA Year In Geek. Our Top 10 Highlights of 2017!